SSC CGL Exam Pattern Changed – Tier I & II (Online) Tier III (Descriptive) and Tier IV (Qualifying) Exam 2016: Revised Scheme of Examination for CGLE-2016 announced. 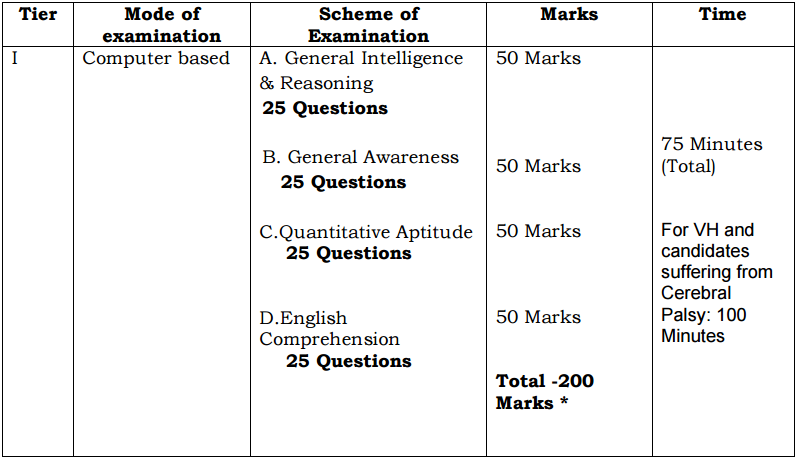 SSC New Exam Pattern (Computer Based Online Exam & Descriptive paper) to be implemented in its all SSC CGLE upcoming recruitment process. SSC has recently conducted SSC CGL 2016 (Tier - I) Online exam successfully. They have also released SSC CGL Tier I Answer keys. All they will now conduct SSC CGL Tier 2 Exam based on new revised exam scheme. As we know, The Staff Selection Commission (SSC) had introduced a big change and it was that there will be Two Stage Online exam – Tier I and Tier II. Those candidates clearing the Tier I and Tier II exam will then be called for the Tier III Descriptive exam that will be held offline. Dear aspirants, most of you are not aware that recently, SSC has made change in recruitment process of all Group B and Group C posts, which will be applicable from this year (2016) onwards. With respect to these change, we are getting lot of queries – what is new SSC CGL Tier II Exam Pattern which The Staff Selection Commission has changed for CGLE-2016. SSC CGL (Combined Graduate Level) Exam for recruitment of Group B and Group C posts in various Government departments will now be a four-stage examination. It has been decided that SSC CGL 2016 onwards, there will be computer based Tier 1 & Tier 2 examination, followed by the Tier 3 Descriptive exam. According to the performance of candidates in the Tier I, II & III examination, only a limited number of candidates will be allowed to take the Tier IV examination. As candidates are waiting for SSC CGL Tier I Result, we have decided to let them know about SSC CGL Tier 2 exam pattern. We have already posted SSC CGL Tier I Expected cutoff marks. There is no major changes in SSC CGL 2016 (Tier - II) exam other than implementing Online (Computer Based Test) examination. Yes, Exam will be online this time onwards. 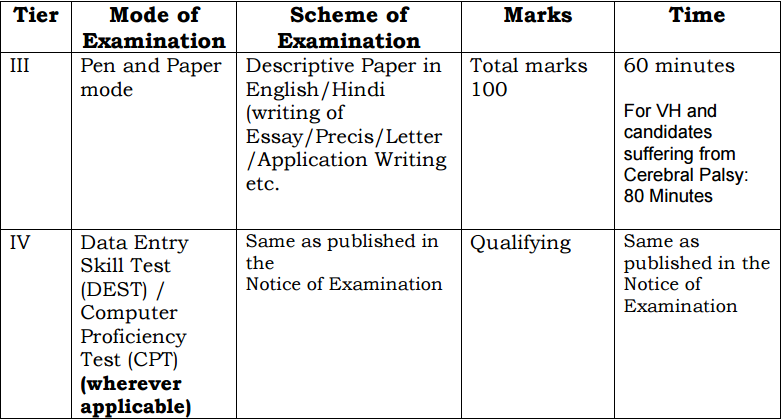 Tier-I and Tier-II examination will be held in computer based examination mode, treating Tier-I examination as only qualifying etc. The Commission has decided to reduce the Number of Questions from 200 to 100 in Tier-I of the above Examination which would continue to carry 200 marks. Note: There will be negative marking of 0.50 for each wrong answer in Tier-I. Note: There have been no changes in Tier II exam and the negative marking system will remain unchanged.